Fantastic Spins | Where The Slots Are Super! Significant Terms: 18+ players only. Valid until further notice. Non-funded players can participate once. Funded players who have deposited in the last 6 days can participate once a day. Min dep £10. Wagering requirements on prizes: 1st deposit bonus 20x (dep+bonus), any other deposit bonus 30x (dep+bonus), bonus cash 70x, free spins and speed spins winnings 80x. Free spins winnings capped at 10p bonus funds per spin. Contribution varies by game. Odds of winning vary between players depending on gaming and deposit activity. Deposit balance is available for withdrawal at any time. General withdrawal restrictions & Full T&Cs apply. Significant Terms: 18+ non-funded players only. Offer valid until further notice. Min deposit £10. Max bonus £50. Wagering requirement is 20x (deposit + bonus) and 80x free spins winnings. Contribution varies by game. 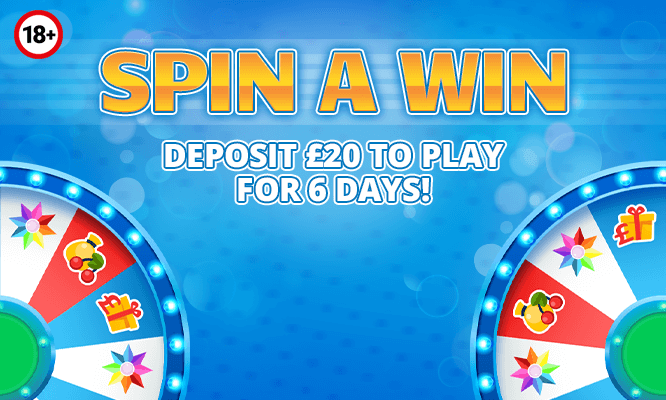 Free Spins available in sets of 20 every day after deposit. Free spins winnings are capped (see full T&Cs). Deposit balance is available for withdrawal at any time. General withdrawal restrictions & Full T&Cs apply. Get 10 Free Spins in your account when you register a valid debit or credit card. T&Cs Apply. 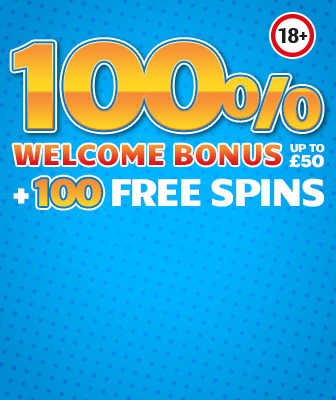 Receive a 100% Welcome Bonus up to £50 on your first deposit! T&Cs Apply. Take 100 Free Spins over the following 4 days after your first deposit. T&Cs Apply. Enjoy as much as £50 extra in bonus funds with your 2nd and 3rd deposits. T&Cs Apply. From your first cash top-up you'll enter the Fantastic VIP programme. Here you'll have the chance to exchange the VIP Chips you’ve collected simply from playing your favourite slot games and use them in the VIP Store. T&Cs Apply. We've got 350 exciting games available here at Fantastic Spins! Play for pennies or check out our huge progressive jackpots! You can spin fantastically anywhere you like on Desktop, Mobile or Tablet and remember we're always on hand if you need any help or info! 18+ funded players only. Promotion runs every week until further notice. Players need to deposit £150+ and have a net loss of £100+ on a Friday–Thursday week to receive 2.5% cashback. Max £25 cashback per week. Players need to log in on Friday or Saturday to claim the previous week’s cashback (if any). No wagering requirements attached. Deposit balance is available for withdrawal at any time. General withdrawal restrictions & Full T&Cs apply.